Stratford Rotary sponsor for another year! Our thanks go to the Rotary Club of Stratford who have kindly sponsored two of our riders for yet another year. Rotarian Iain Kelso, took advantage of his visit to the Group yesterday to present a cheque for £400 to continue to support the operational costs of the Group which is currently running at approx. £40k p.a. 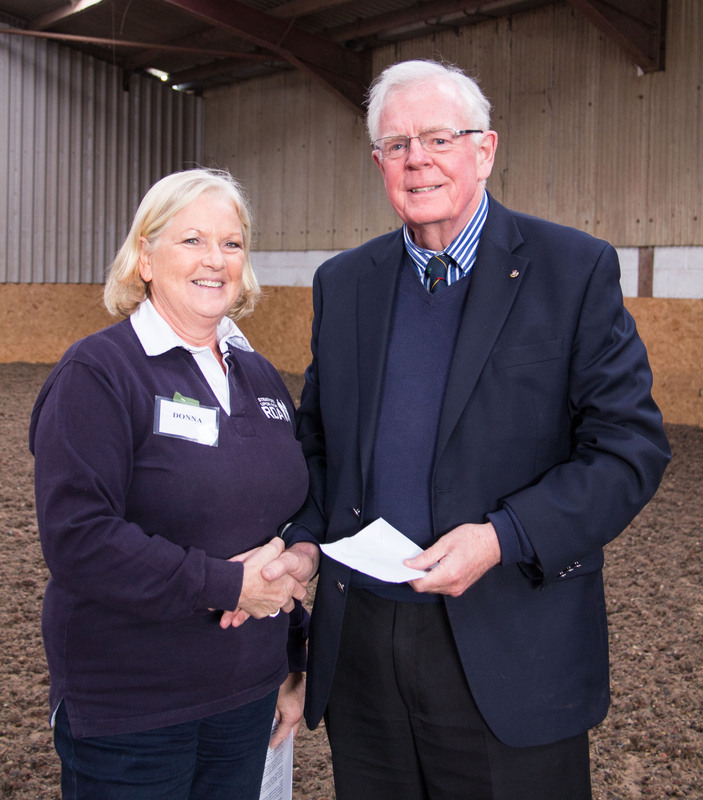 If you would like to know more about our Rider Sponsorship Scheme, please email Carol at sponsor@rda-stratford.org.uk or look under Support Us for more information. Thank you. Previous post: Riders are rising to new heights!